Crossgates recently hosted the Grand Opening event at Homewood Suites and Tru by Hilton (NYSE: HLT), celebrating the new on-site 192-room dual-branded hotel with over 200 guests able to experience both Hilton brands under one roof. 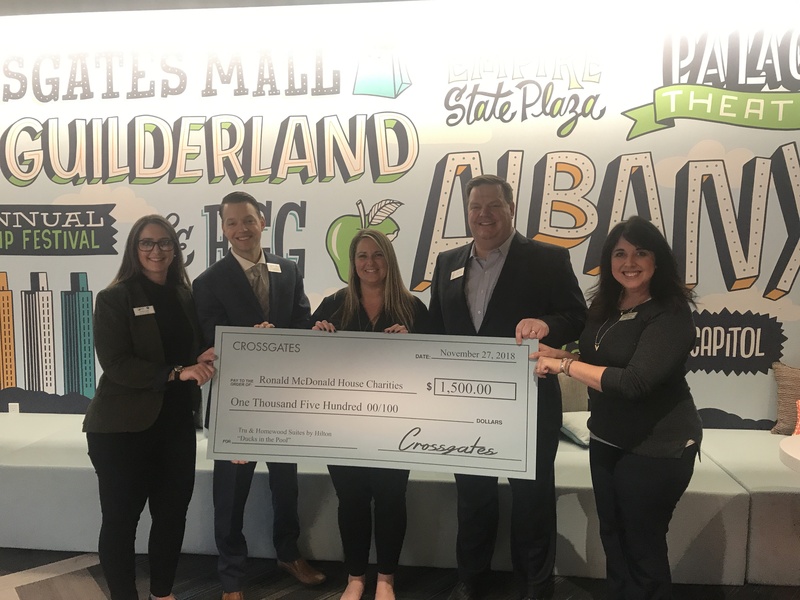 Crossgates and Hilton partnered with Ronald McDonald House Charities at the event where invited guests helped raise $1,500 to benefit this amazing organization. “We were so honored when we were invited to be part of the grand opening of the Homewood Suites and Tru by Hilton Hotel at Crossgates. The $1,500 raised will have a big impact on our work, and the event, which connected us to many new friends, was absolutely wonderful. We consider Crossgates to be a second home of sorts and are thrilled to now be part of the Hilton Family,” said Jeff Yule, Executive Director at the Ronald McDonald House Charities. bringing shopping bags right from the guests hands over to the hotel so that visitors can continue on with ease, will make their trip that much simpler. For more information, and to see how you can be involved in the 18th Annual Ronald McDonald House Charities Radiothon being hosted at Crossgates in January 2019, please CLICK HERE .